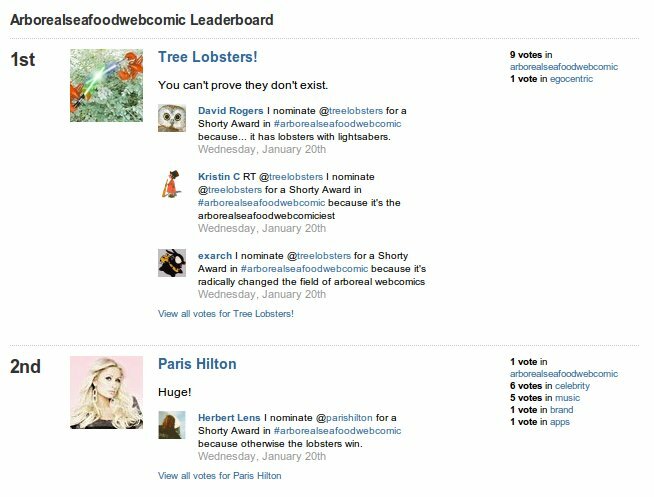 Tree Lobsters is currently #1 in the category arborealseafoodwebcomic but Paris Hilton is only a few votes behind. Please submit your vote for Tree Lobsters. We can't let Paris win this one.